In addition to all of the out of box functionality you would expect from EcoTech - the Vectra will also connect to EcoSmartLive via the ReefLink. At the touch of a button, the vextra pump will temporarily pause the current mode and idle, allowing food to be added to the tank without being cycled into the overflow and filtration. 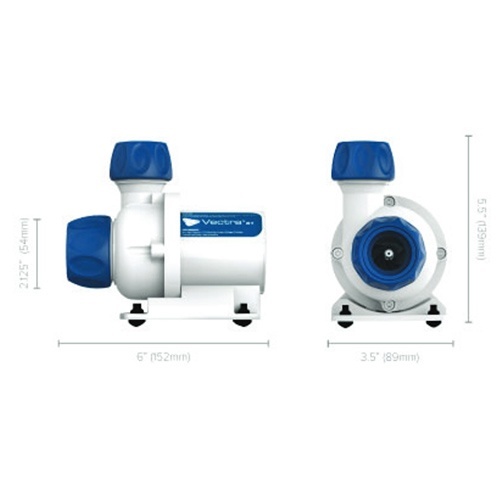 All Vectra pumps are compatible with ReefLink. ReefLink provides completely wireless access to the world of EcoSmart Live, the web-based aquarium commany center from Ecotech Marine. Blizzard. Hurricane. A motorist hits a utility pole. Stuff happens. The power goes out...Vextra pumps are compatible with the Ecotech Battery Backup accessory. Lagoonal random mode simulates a low-energy environment. The speed of the pump is changed slowly to recreate the gentle currents of a lagoon. Reef Crest Random mode simulates a high-energy reef environment. The pump will change speed frequently and drastically to simulate crashing waves and surging tide. This is a favorite of SPS corals. •Installation of the connector requires the correct size plumbing and ABS cement. •Slide the Union Collar onto the pipe with the thread side pointing down. •Apply ABS cement to the inside of the Union Coupling and slide on to the bottom of the pipe. Make sure to allow the ABS cement to properly dry before operation. Q: Should I use a screen if I run the Vectra in my sump? A: It is not necessary however it is highly recommended. Q: Which model do I need? A: This is contingent on the plumbing and volume of your tank as well as your intended use of the Vectra. This requires a basic knowledge of volume turnover and its relationship to head pressure. Q: Why is the Vectra not authorized for sale in Canada? A: EcoTech Marine is in the process of procuring the required certifications necessary forVectra pumps to be compliant in Canada. Q: What happens if I do not calibrate the Vectra when using it as a return pump? 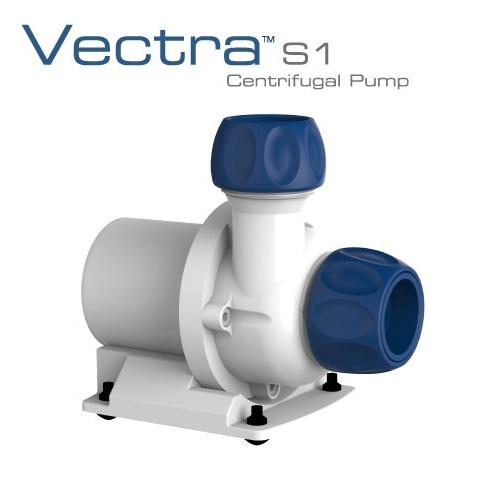 A: Without calibration it may be possible to run a Vectra with zero flow, this is of course possible with any traditional flow pump, but with the Vectra it is a worry of the past. Q: I see a heat sink on the Vectra driver, will it get very hot? A: No, the driver will get warm to the touch, however the heat sink will maintain a reasonabletemperature. Q: Does the Vectra driver function the same way as a VorTech Driver? A: Yes and No. The physical buttons and dial are the same, however the functions and but ton combinations are unique to the Vectra, please review the manual for more specifics. 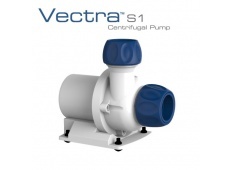 Q: Will there be more sizes of the Vectra pumps? A: At this time the Vectra will only be offered in the S1, M1 and L1 configurations. Q: Why are DC pumps more expensive than AC pumps? A: DC pumps require a driver but in return they are more efficient, have more control, less operational cost and have more features.